This is also nice crafts for Valentines Day, thinking about making some for valentines day. But I don't have red card-stock paper. I think pink will do. ( wink ). I can't wait for baby shower for my friend Cherry and Rose and for their new bundle of joy. It's gonna be the best experience they gonna have, that gonna change their life forever. It won't be easy at first but everyone handle it just fine, As I would say, " You learn as you GO! Being a Mom of two wonderful kids is PRICELESS! Pen- use trace the flowers and to curl the petals aswell. 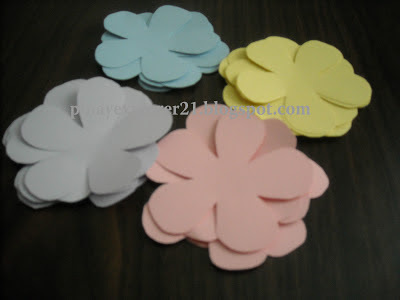 Trace the five petal flowers on the card stock and cut it. 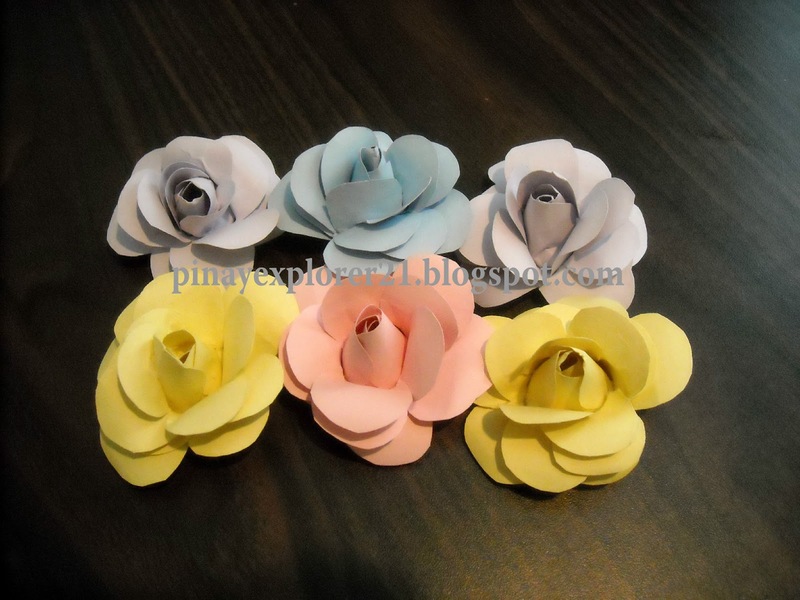 You'll need 4 petals in order to make one Rose. 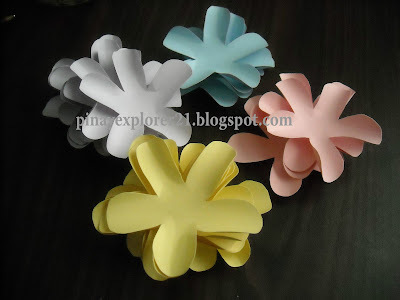 Using the Pen, curl the end petals just like on the picture above. Glues the rose bud first, Then glue the other petals alternate to each other to create a nice rose. You can used glue gun for faster results, I just used glue and tie it with rubber band let it sit for 15-20 minutes until glue completely dry out. Then pull the petals one at time and curl it back to look like rose. They are beautiful! 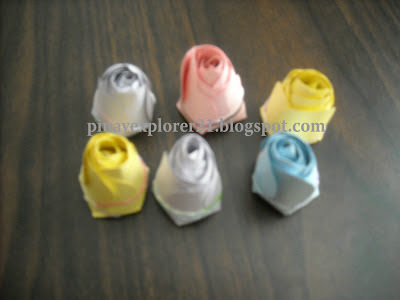 I love roses including paper ones! Those are so cute especially the first photo. Theme images by belknap. Powered by Blogger.